The Chronicles of Era: Indiegogo Success! 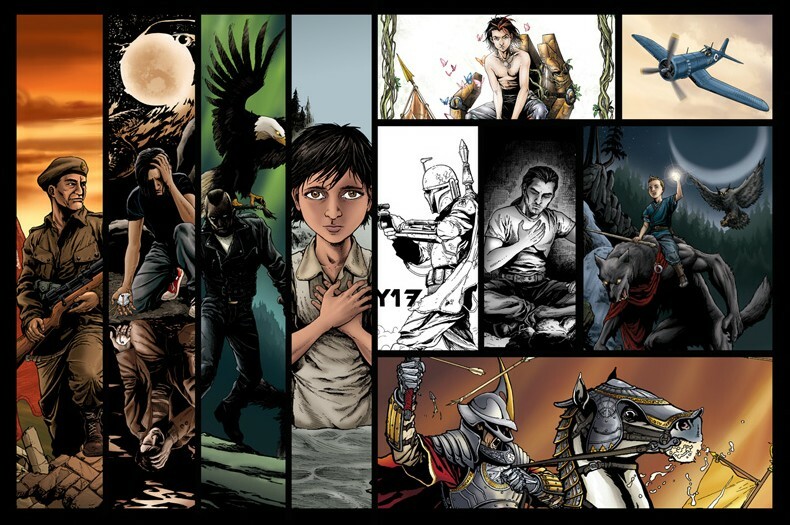 The Chronicles of Era graphic novel was successfully funded through it’s recent Indiegogo Campaign. So exciting! I should have posted this earlier, but after C4 and the final push on the campaign I had to put my attention on some other important and equally awesome projects. The books are printed, thanks to the fantastic efforts made by Art BookBindery, here in Winnipeg. If you are in need of putting a book together I highly recommend looking them up. They patiently answered my many questions, and put up with my rushed book (some beyond my control, some totally on me). It was a limited first run of only 100 copies, but already between the Indiegogo campaign and C4 I’ve gone through nearly 70% of my stock. I’ve now been organizing and adding personal touches to each book ordered through the campaign. 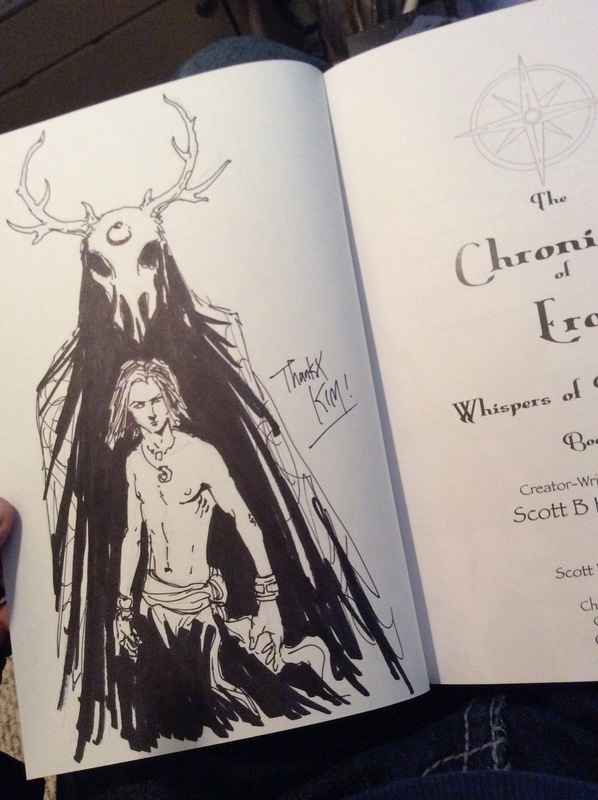 Each book now gets a quick, one of a kind sketch on the inside cover, along with whatever perks were chosen. I hope to have the one that need to be shipped out by the beginning of December, if not earlier. Digital copies are also going out once I make one or two final tweaks. And, yeah, I’ve also created a thing on GoodReads for The Chronicles of Era. For anyone that has graciously bought a copy of Era, you can post your ratings and reviews now. Honestly, not sure how I feel about this, but there it is. I will be making other events in the future, book signing and the like, but I have to focus on some other projects first and sort out all of the orders that have come in thus far. And of course to all the people that I met only briefly at C4, or have unfortunately forgotten names, and to those that donated anonymously, friends and family that helped to support, nurture, and critique Era in all of its stages. But, last and certainly not least, a big thank you to my wife for encouraging me to make this book, came up with ideas on promotion and pushed the shares and likes and general spreading of the word to everyone that she could. Thank you for putting up with my reclusive, introverted, procrastinating ways! You can follow updates on The Chronicles of Era here, but also at its Facebook Page. If you missed out on the campaign or C4, and are interested in a copy of The Chronicles of Era, please feel free to message me. I allotted some funds of Indiegogo for shipping, but that will likely be run dry with those costs, just as a heads up! (But there is no shipping if you want a digital (PDF) copy….just so you know).